A watch selection made by a man for women! At the end of last November, Denis Asch, founder and owner of L’Heure Asch in Geneva’s old town decided to dedicate the end of the year to women, organizing the first watch exhibition 100% feminine. 1-Why organizing a feminine watches exhibition only? It has been a long time that I think women’s choices for watches is too poor. Brands have recently understood that women are getting more picky in their choices and are getting more interrested about mechanical and complicated pieces – it’s not anymore men’s watches converted into women’s pieces. 2-How did you pick the brands for the event? Back in 2001 at the opening of the store, I have always been looking for niches brands, unusual pieces with small productions. It was very difficult to find among them feminine pieces. 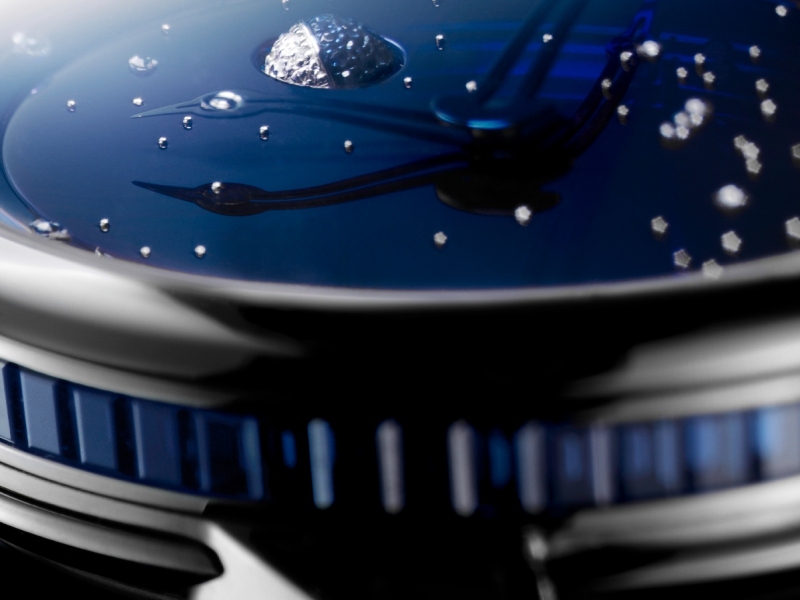 I have selected five brands among which are DeBethune, Eberhart, Christophe Claret, Laurent Ferrier and Sicis with a wide range of prices going from CHF 6’500 up to CHF 220’000.-For example, Sicis is the last brand I have discovered normally known for their mosaics… I have met them in London at the QP fair last november- even though they launched their wrist watch collections a few years ago. It requires a real artistic skill to make mosaic dials! 3- What are your expectations from this event? To surprise women in Geneva: with new colors, new shapes, new styles.And for most of the models I am presenting, a few are really original and highly mechanical, that I am sure they will be happy to discover them. It would be the Margot by Christophe Claret. Why? Simply because the Margot was the most complicated feminine watch shown at Baselworld, it actually won the GPGH prize back in November for in the Lady High Mechanical Watch category. I must admit that as a watch collector and a watchmaker, it is the only time I wish I were a woman! 5-Why do we see an evolution in the proportion of feminine pieces available on the market? The proportion of the feminine pieces in the watch industry is growing because the market value is changing. It is getting bigger and bigger. The brands have understood that women are now buying their own watches… no need for a husband anymore! Nowadays, feminine pieces are more about complications and movements rather than stones and setting!